Paul Bullock (’02) wasn’t about to miss Words Awake 2! 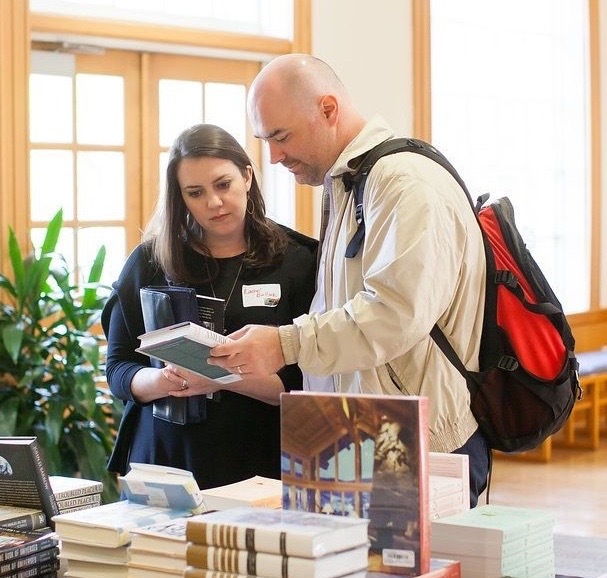 The Los Angeles-based writer for television shows such as ABC’s “Desperate Housewives” and Lifetime’s “Devious Maids” travelled across the country to meet other Wake Forest writers, authors, journalists and poets at the on-campus conference April 8 – 9. At the first Words Awake conference in 2012, Bullock connected with Carol Barbee (’81), a television producer and writer, and Temple Northup (’99), a former TV writer who’s now director of the School of Communication at the University of Houston. 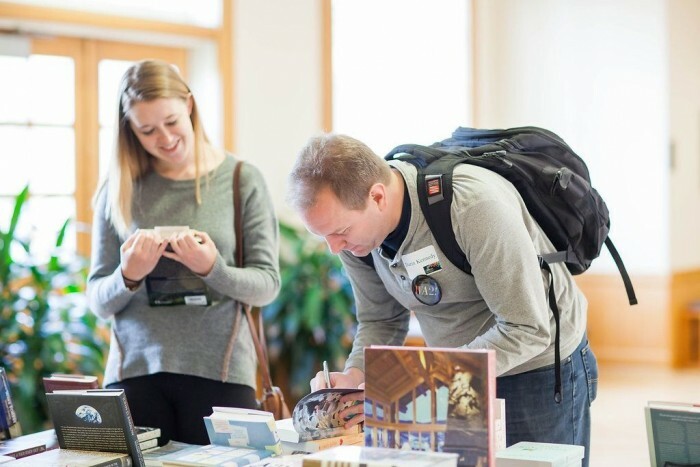 Screenwriter Paul Bullock ('02) and his wife, Rachel Venuti Bullock (’02), COO of Render Media, a digital media company, look through books by Wake Forest authors. 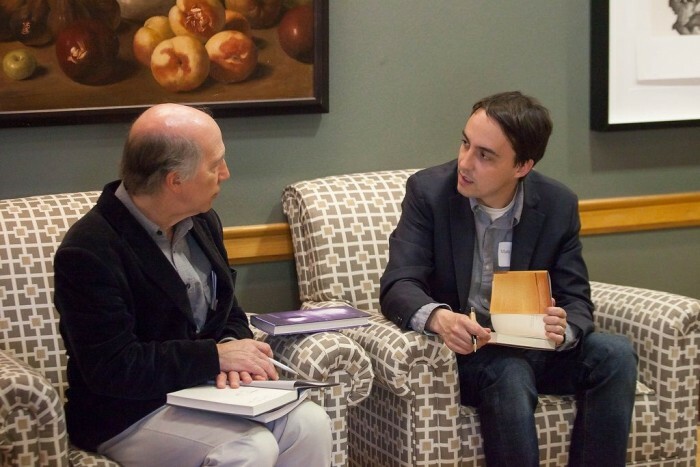 About 35 writers attended this year’s conference – billed as a celebration of Wake Forest writers and writing – including Joseph Bathanti (P ’09), past Poet Laureate of North Carolina; author and poet Clint McCown (’74, MA ’78), the only two-time winner of the American Fiction Prize; authors Davis Bunn (’74), Matt Gallagher (’05), Trice Hickman (MALS ’98) and Darin Kennedy (’93, MD ’97); poets Eric Ekstrand (’07), John York (’77) and Helen Losse (MALS ’00); and Ed Southern (’94), novelist and executive director of the North Carolina Writers’ Network. It was a chance for writers to catch up with one another, discuss the creative process, commiserate about editors and talk about their next project. 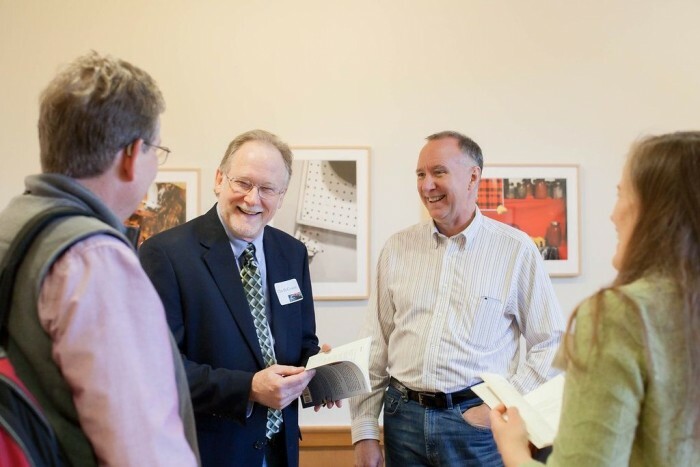 “For many writers this event embraces a ‘family of writers’ for Wake Forest,” said Tom Phillips (’74, MA ’78, P ’06), director of the Wake Forest Scholars Program, who organized this year’s conference and the first one in 2012. Tables were covered with books by Wake Forest authors, including the just-released “History of Wake Forest University, Volume 6,” by Professor of Counseling Sam Gladding (’67, MAEd ’71). 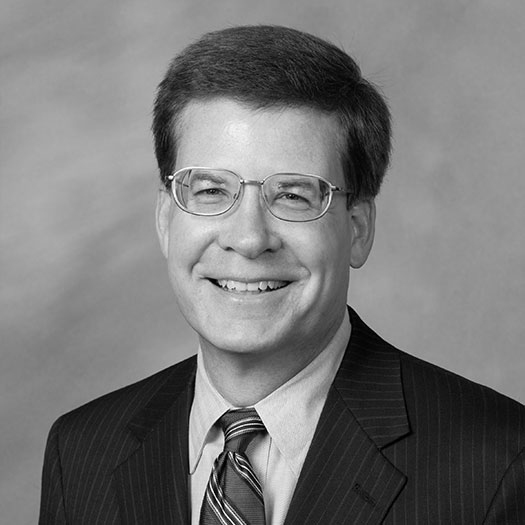 The book, available at the College Bookstore, covers the presidency of Thomas K. Hearn Jr. from 1983 to 2005. Joseph Bathanti (P '09), past Poet Laureate of North Carolina, and Matt Gallagher ('05), author of "Kaboom" and "Youngblood." The conference began Friday morning with alumni writers fanning out to 10 local schools to talk with students. Book collector and photographer Jan Hensley (’64) spoke Friday night about his 50-year journey collecting the works of North Carolina authors. Hensley has donated some 10,000 books and upward of 50,000 ephemera to the Z. Smith Reynolds Library. Saturday’s schedule included panel discussions, poetry readings and a look back at the legacy of poet A.R. Ammons (’49, D. Litt ’72). The conference culminated with the induction of five alumni into the Wake Forest Writers Hall of Fame: author Helen Tucker Beckwith (’46); biographer Penny Niven (MA ’62, D. Litt ’92); journalists Neil Morgan (’43) and Bill McIlwain (’49, P ’94); and Pulitzer Prize-winning journalist and Wake Forest Magazine editor Maria Henson (’82). Darin Kennedy ('93, MD '97) signs a copy of his book. John York ('77); Clint McCown ('74, MA '78); Kevin Morgan Watson, founder of Press 53 in Winston-Salem; and Julie Dunlop ('95). 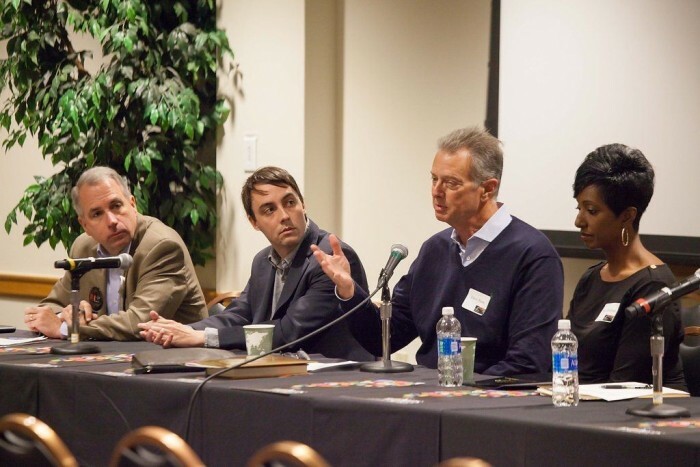 Mike Riley ('81), Matt Gallagher ('05), Davis Bunn ('74) and Trice Hickman (MALS '98) at a panel discussion.